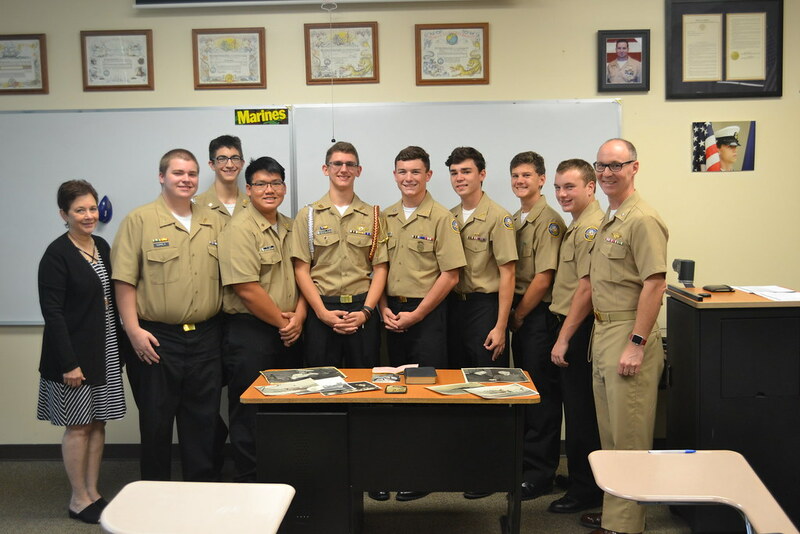 On September 11, 2018, I introduced our NJROTC seniors to their class project. They all groaned at the sound of ‘Class Project.’ That sounds like a lot of work. Then I explained to them what we were going to do for this year’s senior project. Did you know that less than 10% of Americans today have served in the military? Many of them are Veterans of wars from generations past. September 11, 2001, defined my generation’s conflict. It shaped my time in the military. Chief and I always feel an incredible amount of support for our military everywhere we go, however, many Americans don’t really know what serving is all about. Many of our Veterans are growing old, and we are losing their stories and memories. There are family members of deceased Veterans who have memorabilia stored and don’t know where it should go. We, Brother Martin’s NJROTC, are going to help. Our seniors couldn’t wait to get started. 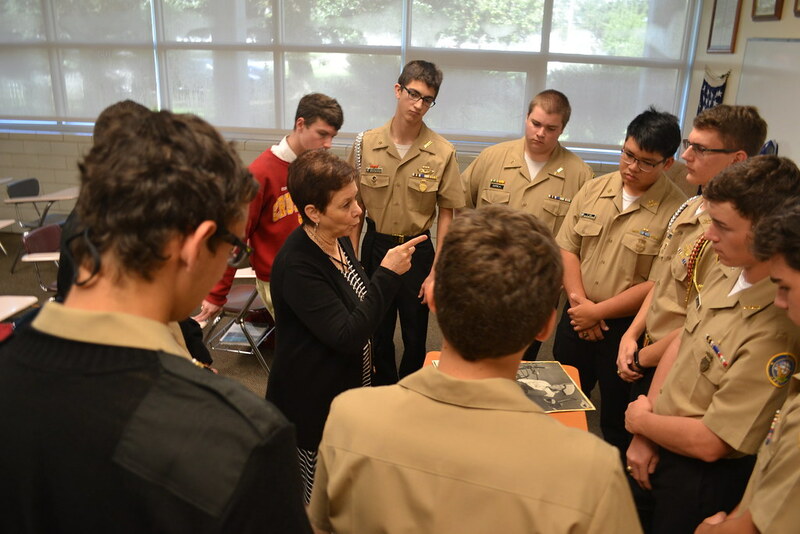 Many of them have family members who served and inspired them to join the Navy Junior ROTC program. 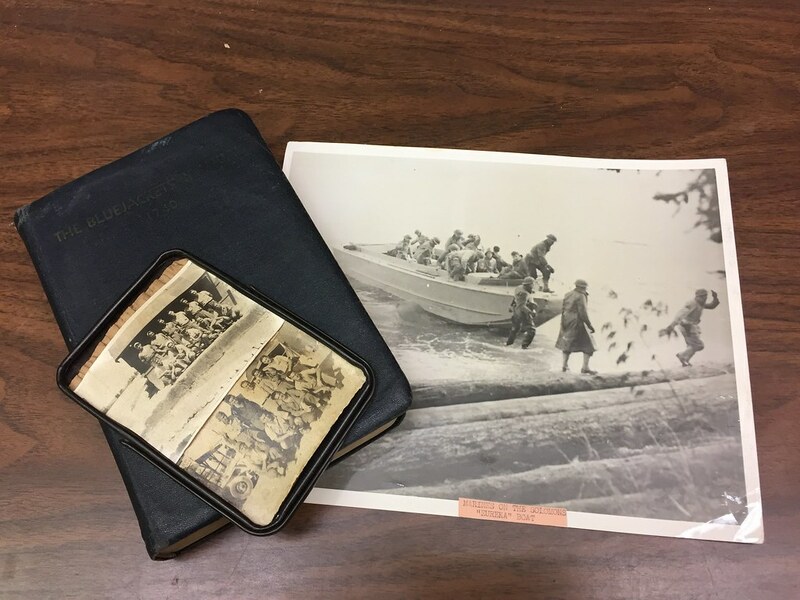 The Library of Congress collected and archived more than 105,000 collections through their Veterans History Project. 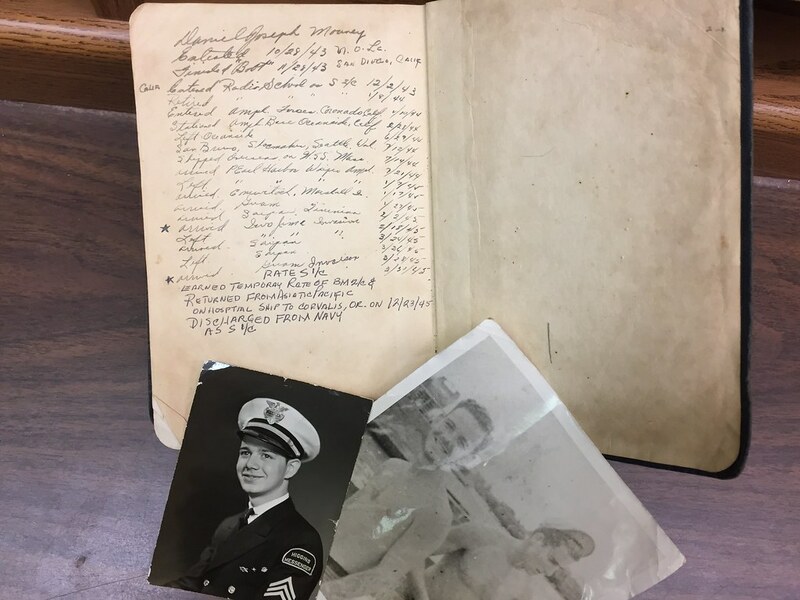 The Library of Congress encourages senior high school students to collect stories and mementos from Veterans and submit them for permanent preservation. 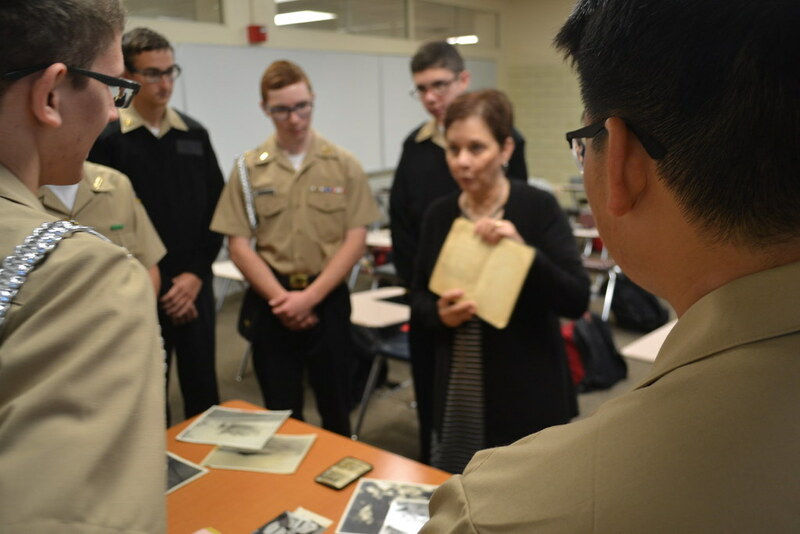 Our project, this year, is to collect items and interview Veterans on video to submit to the Veterans History Project. Thousands of Veteran interviews are already available on the website for public search and viewing at any time. Chief Necaise and I discussed a project like this previously. 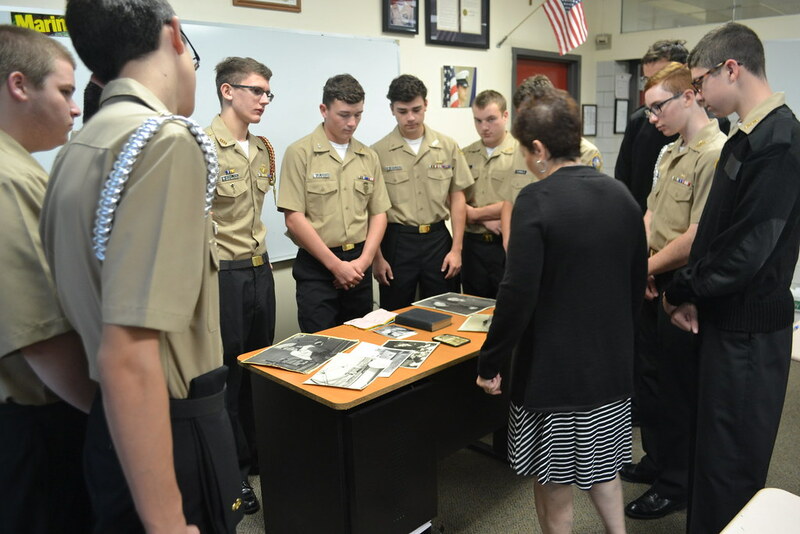 When we learned about the Veterans History Project, we thought it would be the perfect fit for the mission of our NJROTC. We strive to produce better citizens. 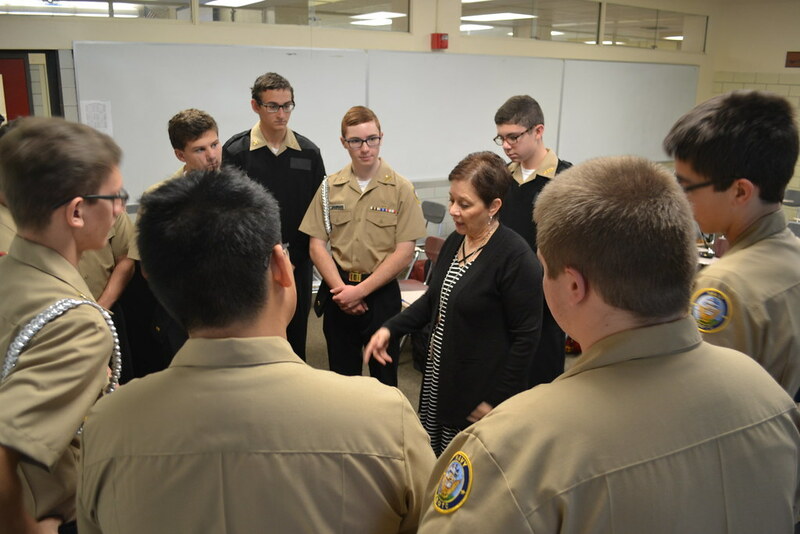 We hope that through this project, our students connect with Veterans and understand the sacrifices their family members and others made for our country. Mrs. Broussard, our Assistant Principal for Academics, volunteered to introduce our project with memorabilia from her father, Mr. Daniel Mouney. He served in the Navy in WWII and worked for Mr. Higgins making his historic landing craft, the Higgins boats. Mrs. Broussard said that her father didn’t talk much about his military experiences. After he passed away, this amazing collection is now entrusted to us to find a location where future generations can learn from the things he held dear. These are the types of memories that fit perfectly into the Veterans History Project. This collection is so close to New Orleans however, we may reach out to other locations that would be able to preserve and display this collection. As Veterans, it means so much to Chief Necaise and I to be able to connect our students with the past so they can understand what it really means to serve our country. Thank you for your support and trusting us with these great students. You can view the current collections at the Library of Congress Veterans History Project website at http://www.loc.gov/vets/. - Commander Bruce Nolan, USN (Ret). Class of 1990.